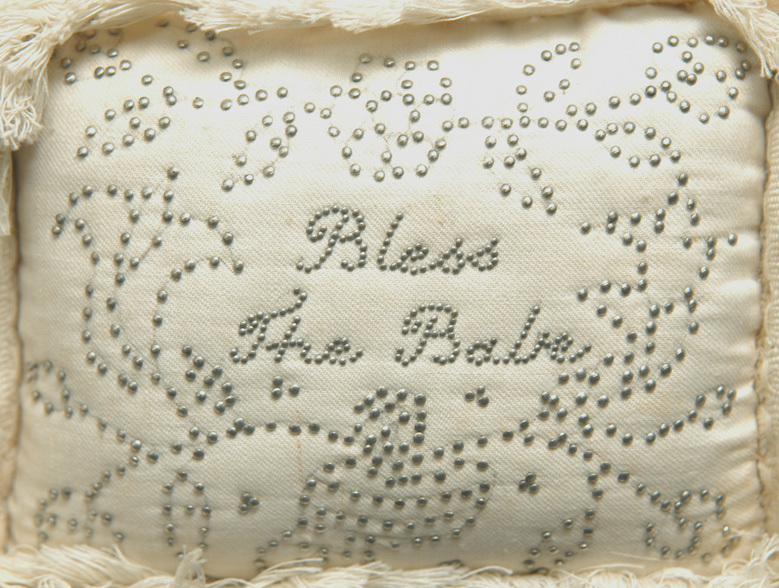 The pin decorated sentiment “Bless The Babe” is surrounded with floral and leaf border. 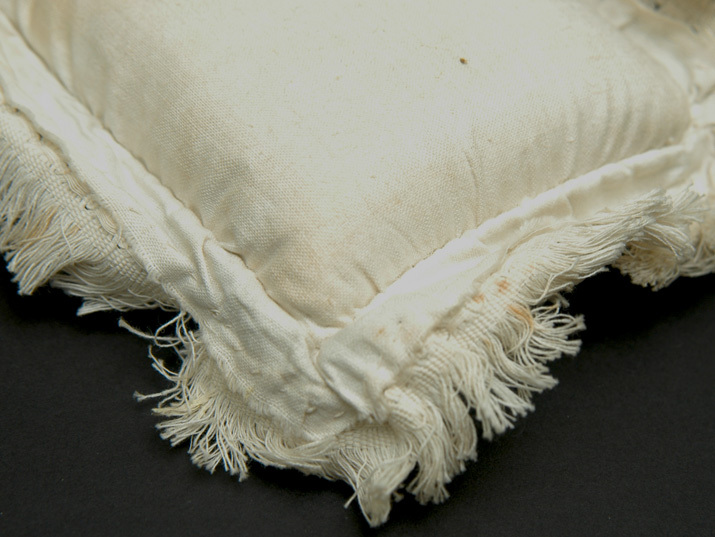 The image of the full pillow is a bit lighter in color than reality because of the flash bouncing off the ceiling. The close up images are more correct to color. This is the smallest of the collection at 5” x 4” plus the frill. The front fabric appears to be some type of worsted cotton. The back is cotton. The edging is double frilled fabric tape. 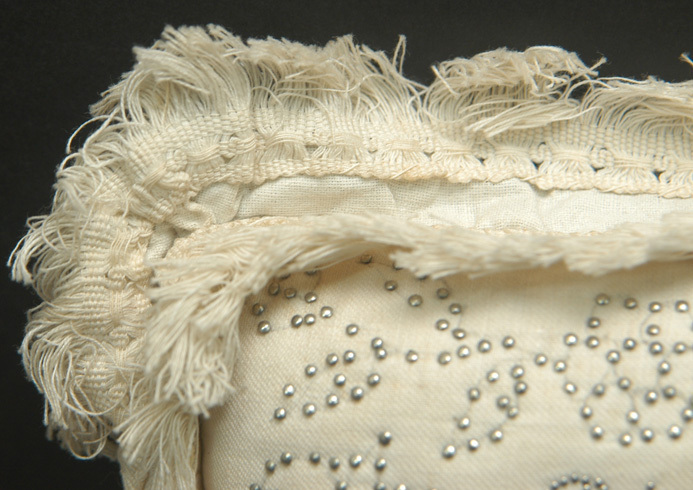 The back frill is sewn onto cotton fabric so that it extends out from the front row of the frill. The pattern lines are visible behind the pin decoration, but the lines are quite faint in color. There is a large but faint yellow stain on the reverse. There are a few scattered pinholes on the reverse, but the stuffing is quite tight and safe. 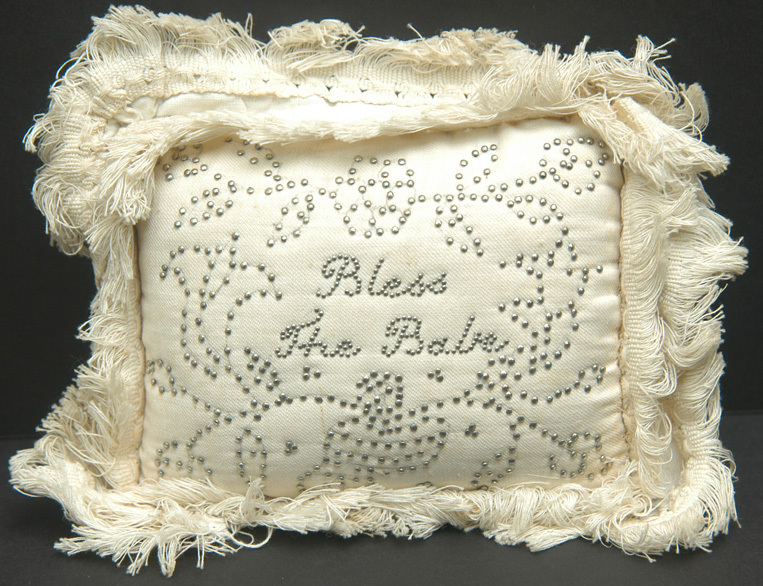 Remember that mothers were given these pillows so that they had pins to use for the baby's diapers and clothes. 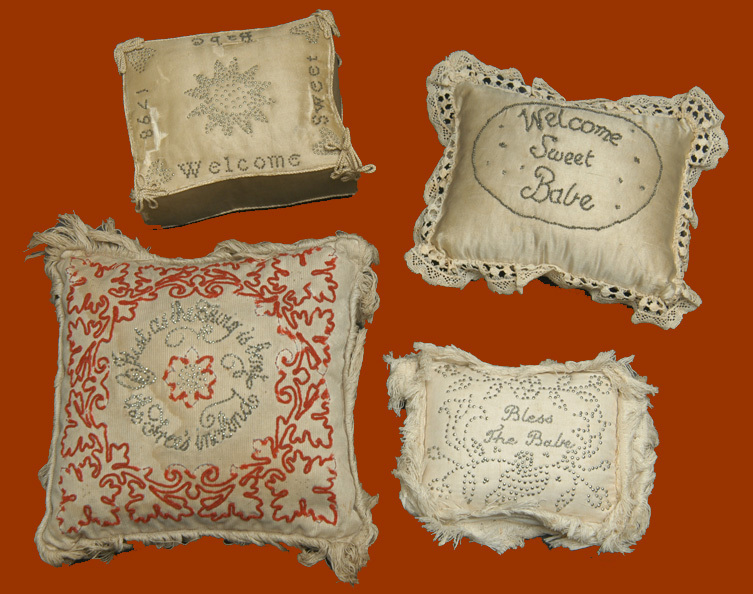 It is likely that Mom flipped the pillow over and used the reverse to stick pins in when they were not in use. 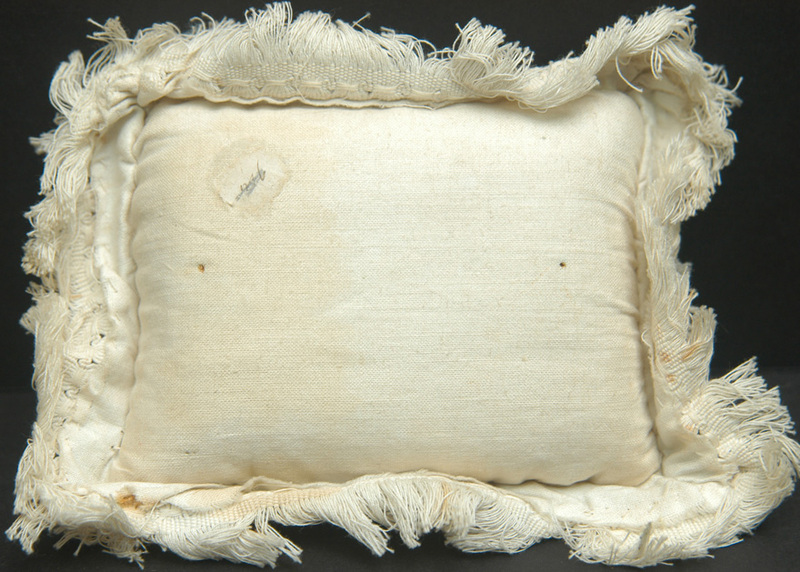 This pillow is in very good condition. Circa mid-19th century.